Tasted a few new beers last night. A couple were so good that I had to tell somebody about them. 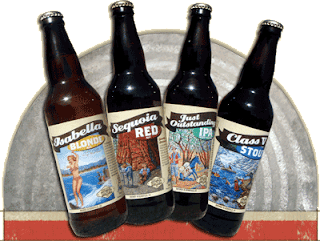 So I'll interrupt my intermittent re-postings from "My Year as a Beer Blogger for Examiner.com" to note the quality, taste, and enjoyment I got from trying each of these new (to me) beers. Drake's is up the Bay Area, in San Leandro, across the Bay from San Francisco and nestled between Hayward and Oakland. I remember many years ago the region had an earthquake, which came to be known as the Loma Prieta Earthquake, after a peak in the Santa Cruz Mountains to the south near the quake's epicenter. We definitely got the beautiful floral aroma; not much grapefruit or tropical fruit, and we don't know what gooseberries taste like, but we also picked up a kind of nutty-oily flavor at the back of the palate - almost like toasted sesame. Distinctive, and not in a bad way. 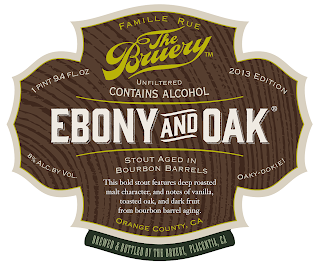 “Just Outstanding” and “The Name Says It All” might look cool on a label, but it's a ballsy stretch and honestly, we simply expected much more. 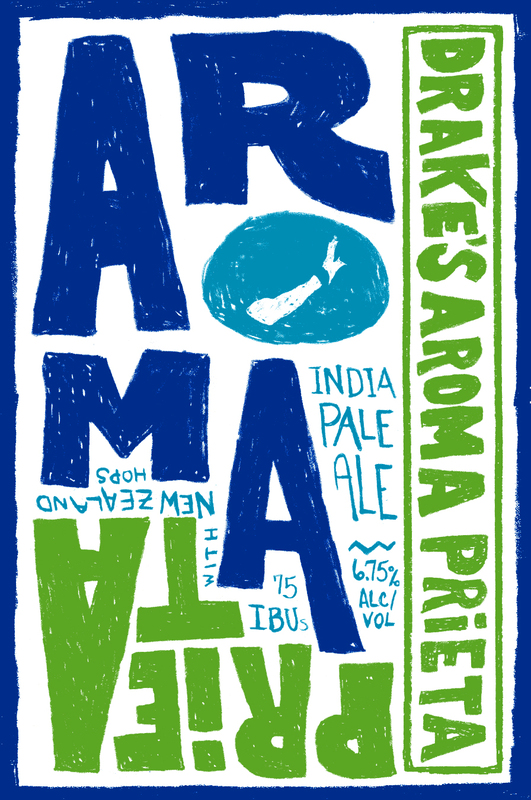 In a world saturated with IPAs, this one is actually “just good,” which ain't bad either, but it ain't all that. 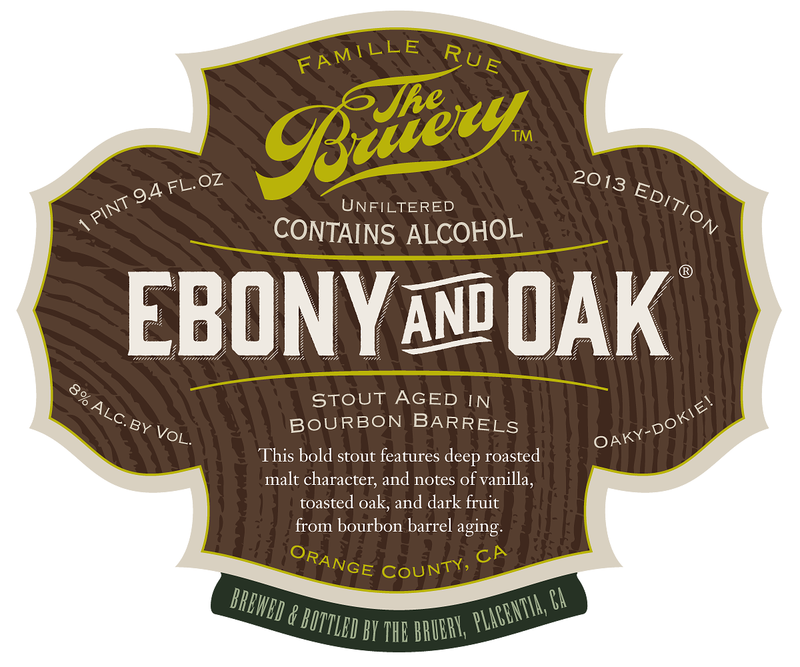 Finally, we ended our happy beer adventure with a new (for us) offering from one of our favorite breweries, The Bruery in Placentia, CA: Ebony and Oak, a stout aged in bourbon barrels. The craft beer grapevine tells me that The Bruery crowd-sourced the graphic design for the label through Designcrowd.com, and the winner was graphic designer Eric Sena, who describes himself as a homebrewer, cyclist, and good listener, as well as graphic designer on his Twitter bio.